Equipped with state-of-the-art equipment and more than a century of records, our land survey teams are comprised of highly experienced technicians who understand that accuracy is paramount to each and every project they undertake, no matter the scope. If your needs require a simple boundary survey to define your residential property line, the development of a legal description, topographic survey, construction staking or something more complex like an ALTA/ACSM survey, you can count on our surveyors to provide you with nothing less than precision. At SMS, our survey teams are led by a Licensed Professional Surveyor and hold professional designations in Illinois, Missouri and Indiana. Our surveyors have years of experience with global positioning systems. At SMS we utilize the latest Global Navigation Satellite System (GNSS) receivers to provide our clients with highly accurate (below 1 centimeter) survey grade results. The experienced surveyors and technicians at SMS work with clients to capture, store, manipulate, analyze, manage, and present spatial or geographic data. We provide a high level of positional accuracy, and high resolution digital terrain and aerial imagery to help create geographic information systems to more easily see, analyze, and understand patterns and relationships. In order to determine property lines and define true property corners of a parcel of land, we are licensed to perform boundary surveys. Boundary surveys also indicate the extent of any easements or encroachments and may show the limitations imposed on the property by state or local regulations. Topographic surveys are used to identify and map the contours of the ground and existing features on the surface of the earth such as trees, buildings, streets, walkways, manholes, utility poles, utilities, retaining walls, etc. to serve as a base map for the design of civil improvements. Topographic surveys will typically show perimeter boundary lines and the lines of easements on or crossing the property being surveyed. Construction staking is surveying of reference points and markers that will guide the construction of new roads, buildings, and site improvements. It is of the utmost importance that construction staking be done accurately to ensure improvements are constructed as designed; at SMS we can handle it. An ALTA/ACSM survey is made to include boundary lines, location of the main building including improvements, location of ancillary buildings, and the identification of easements. ALTA surveys are complex surveys guaranteed to meet the requirements for an ALTA/ACSM Land Title Survey as detailed by the American Land Title Association, National Society of Professional Surveyors and the American Congress on Surveying and Mapping. SMS surveyors are equipped and experienced to perform ALTA/ACSM surveys. The mainstay of SMS’ surveying work is the establishment and verification of property lines. SMS has performed thousands of residential property surveys throughout the St. Louis/Metro-East area as well as surveys for commercial, institutional and industrial properties. 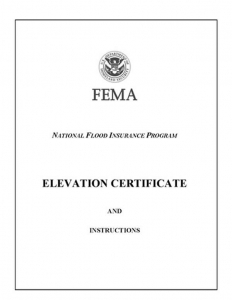 At SMS, we are actively involved in assisting our clients in the understanding of the National Flood Insurance Program (NFIP) flood hazard maps and related products. We are versed in the requirements of FEMA such as flood elevation certifications, LOMA (Letters of Map Amendment), and LOMC (Letters of Map Change). SMS has prepared surface, subsurface surveys and ground surveys as well as assisting in planning mineral rights acquisition.